ZL mould is a factory from China, we have rich experience in bottle cap injection mould, bottle tube injection mould, bottle blowing production line. Attached is the new series of water bottle cap production line sample. tube injection mould with big gate, H13 steel, fall automatically. 2 different type of cap mould, 718H steel, 1+1 cavity, cold runner, ejection by plate,auto drop.1 Spare parts injection mould with 2+2+2 cavity, 718H steel, ejection by ejector pin, fall drop. 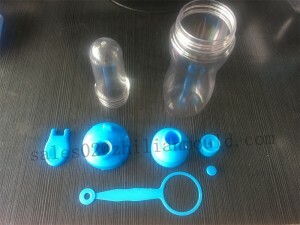 connector mould also is a full drop mould. 3.Mould flow analysis for each bottle and cap mould:which can help to make how big of gate suitable for bottle and cap. 4.Good cooling system for plastic bottle and cap mould could help to reduce the cycle time and avoid deformation. 5.After service is important too,free charge of spare part will be delivery with mould.Spoort you our all-round dechinical solution during mould running period.